Filing these types of insurance claims can be very difficult for the property owner. 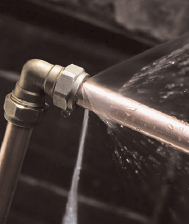 Water leaks can spread and cause mold that can be very harmful to you and others. As a public adjuster we can act fast to create a detailed estimate for the damages of your claim. We handle Water Damage, Flood Damage, Plumbing Leak Claims, Roof Leaks, Pipe Breaks, Mold Damage, Burst Pipes, Leaky appliances, any covered loss causing water damage to flooring, walls, ceilings, or personal property.